Dream it. Tune it. Play it. 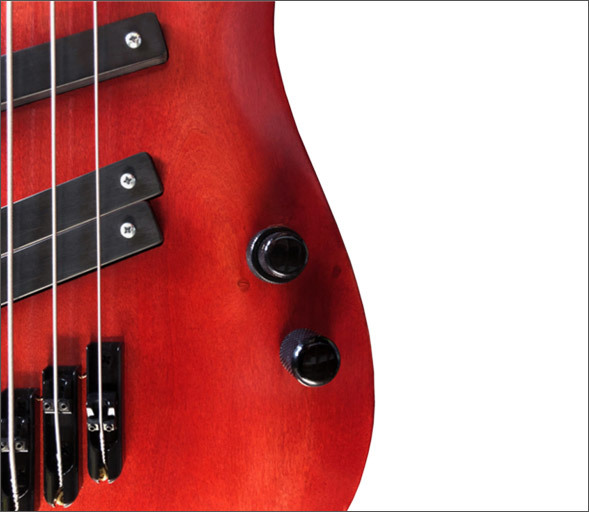 In 1997 the first production run of four basses began a journey of exploration of industry, understanding and musical expansion that could not have been imagined, let alone predicted.There have been only slight changes to design from the beginning. The essence, spirit and purpose remain. The pickups are single coil, with the center pickup cancelling hum from the neck and bridge coils. Controls are a stacked volume and passive treble roll-off, and the infinite blend control. The center coil is always active. 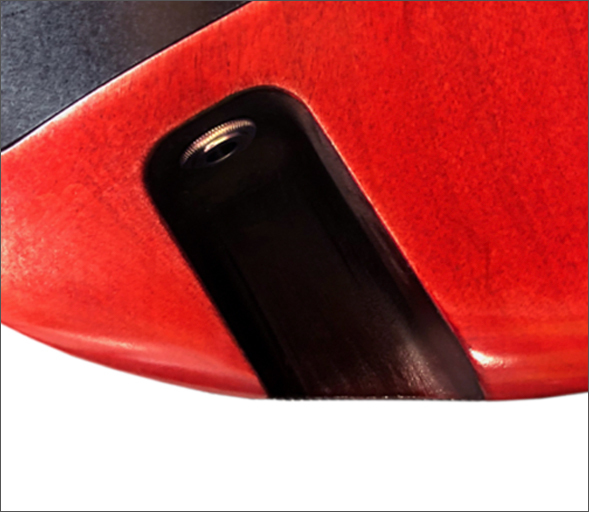 The blend control combines the center pickup with either the bridge or neck pickup, or an infinite combination of the three of them. Fit and finish are paramount. The neck is fit precisely into it’s pocket. and affixed absolutely securely, delivering tone that rivals neck-through construction. The neck is three-lam maple, and the body is alder. Stock colors are transparent red or black french polish. Headstock, fretboard, pickup covers and cavity cover are black phenolic. 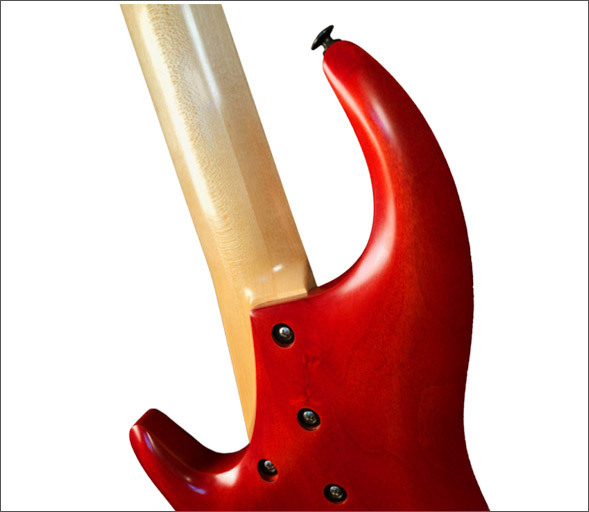 The input jack is inset into the back, bottom edge of the bass’ body. The inset provides enough depth that traditional 1/4” connectors rest completely inside the Quake’s silhouette. on every Quake until January 31, 2019.